TURNBERRY, a Luxury Collection Resort, Scotland, has launched a range of new summer packages to help families escape the hassle of airport delays, long flights and volcanic ash clouds. Turnberry’s Summer Family package starts from £310 per room, per night in a classic bedroom with full Scottish breakfast. The package also includes a complimentary family movie, children under 12 eating free throughout the resort and 50% off an additional room for kids. The scheduled daily activity programme for families includes everything from pitch and putt competitions, splashtime in the pool, food tasting and kite flying. Golf lessons for the whole family are available in the golf academy as well as a choice of three links golf courses to enjoy. Turnberry picnics, from £16 per person, can be enjoyed on the beach at Turnberry or picnics-to-go are available when exploring local attractions such as Culzean Castle or the village of Alloway, the birthplace of Rabbie Burns. For parents in need of some pampering, The Spa at Turnberry provides the ideal place to relax and revitalise, with views over the Irish Sea and Ailsa Craig. Heat experiences and relaxation rooms provide the ultimate prelude to advanced, bespoke ESPA treatments. In the heart of The Spa lies a 20 metre swimming pool with whirlpool and outdoor terrace, and state-of-the-art Technogym Fitness Studio. There are four dedicated fully renovated family rooms at Turnberry, with adjoining children’s bedroom to accommodate 2 children under 12 years old. Family rooms are available from only £430 per room, per night, including full Scottish Breakfast and children eating for free. For family groups, lodges sleeping up to 12 or 16 people with interconnecting bedrooms and large living areas are also available. Eight bedroom lodges start from £2,000 per lodge per night and six bedroom lodges from £1,500 per lodge per night, inclusive of full Scottish breakfast in the main hotel. 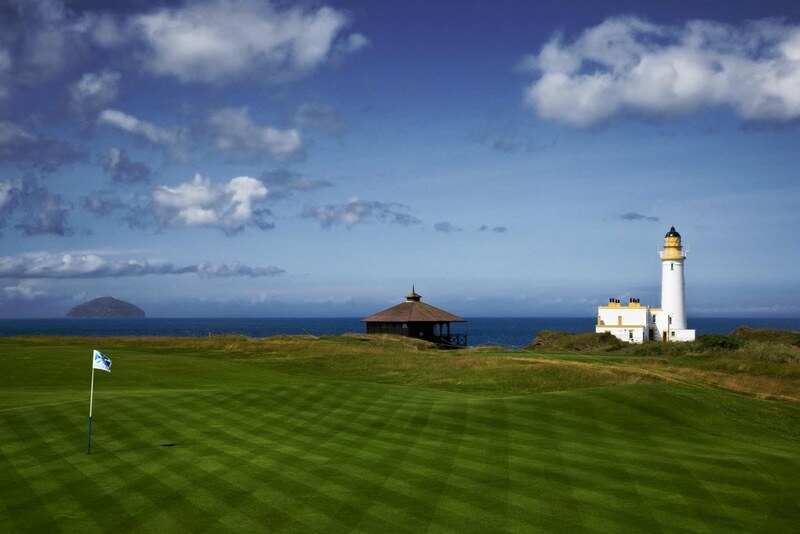 Situated just 50 miles from Glasgow on the breathtaking Ayrshire coast, Turnberry Resort is an inviting five-star retreat for the whole family to enjoy. Turnberry offers a daily outdoor activity programme in 800 acres of playground, with access to miles of sandy beaches, coastal cruises and delicious picnics. Families can experience the west coast of Scotland by sea from the deck of a luxurious cruiser. On all cruises, guests are driven from the resort up the coast past the Electric Brae and Dunure village to Troon Yacht Haven where they will board the Seabiscuit. Cruises are available from Troon to Lady Isle, Holy Isle, Heads of Ayr, Culzean Bay and Ailsa Craig. There are currently 725 Ayrshire business stories permanently archived on this site. To locate those of most interest to you, please use the site search facility in the top left hand corner of this page. Type your search term in the white box, then click the magnifying glass symbol.